1. Mash the blueberries in a bowl and place in a heavy bottomed sauce pan. 2. Add sugar, orange juice and lavender and bring to a boil. Add the quartered apple pieces. 4, Remove apple pieces and pour blackberry mixture through a sieve. Pour sieved mixture into prepared sterilised bottles. It looks so yummy and easy, unfortunately those blackberries here are so very expensive. 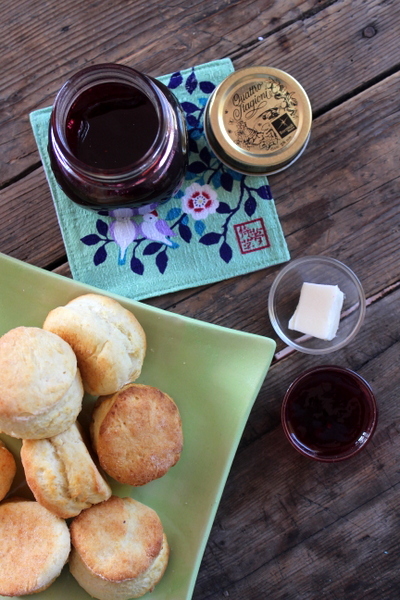 Jams and marmalades are my favorite thing, and those biscuits… yummmm! Looks delicious! 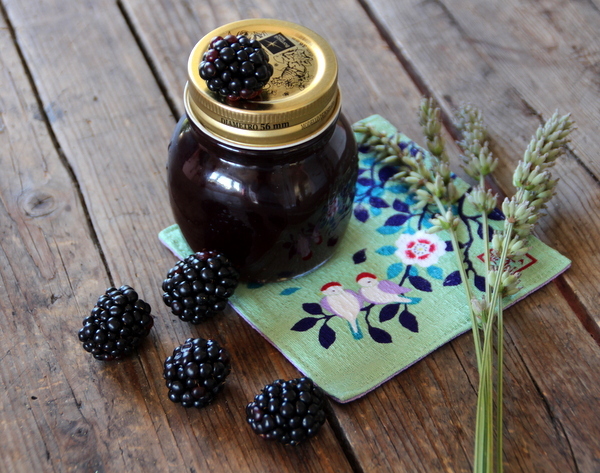 I picked hundreds of yummy blackberries whilst in England but haven’t seen any to pick in Rome and, sadly, they are extremely expensive in my local supermarket! They are quite expensive. 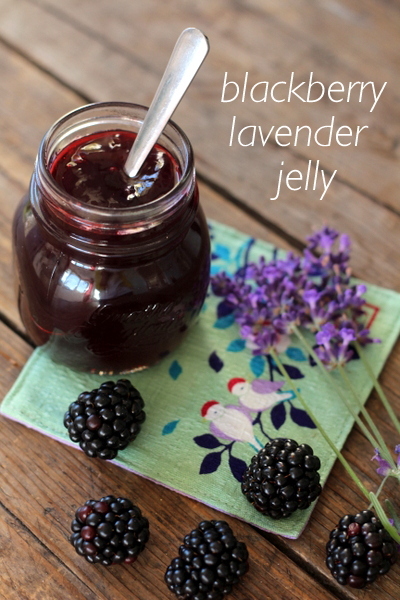 But this jelly recipe is definitely worth it! This looks divine! I can’t wait until the farmer’s market opens next month so I can get my hands on some blackberries. How much does this make? I’d like to know how many jars to have available. This looks amazing but could I make it without the apple? I’m sure you could but you would end up with a much more liquid jelly as the apple helps it become thicker (it’s used instead of pectin). Does the jelly have to be stored in the refrigerator?